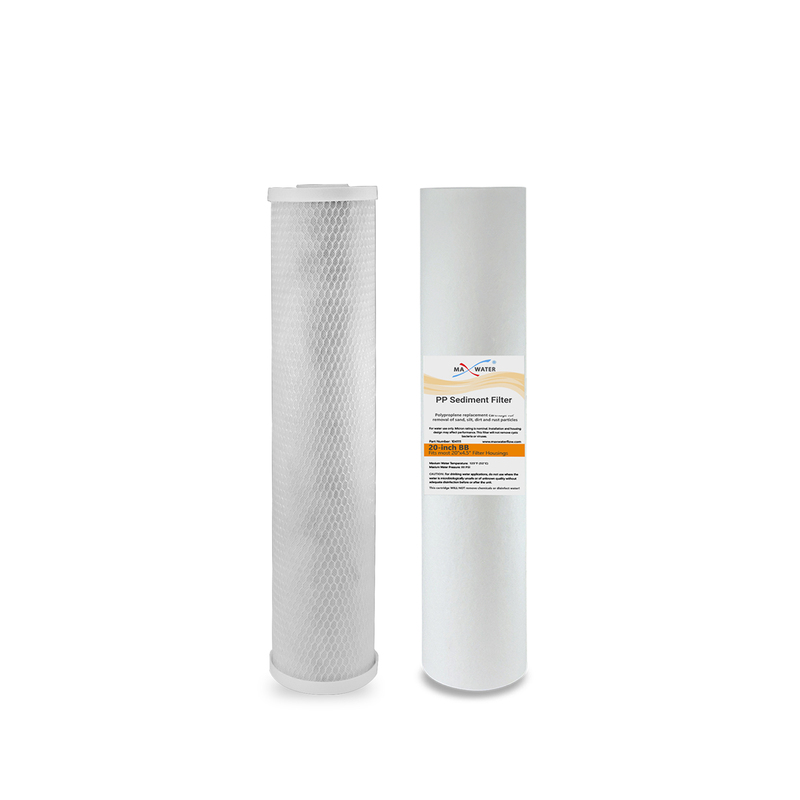 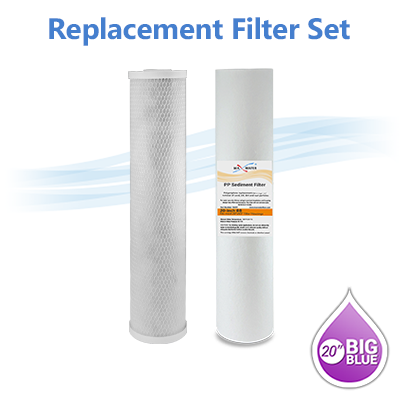 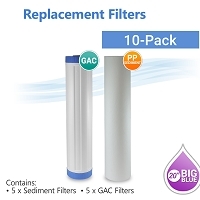 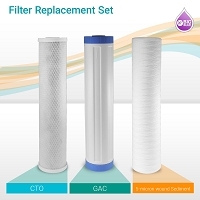 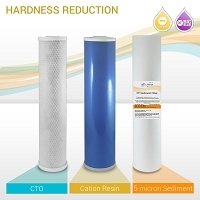 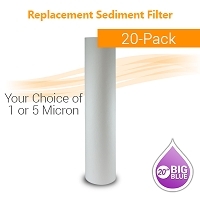 Big Blue Sediment/Carbon Block Filter Pack - Size 4.5 x 20"
Home > Water Filters > 20 x 4.5 Bulk Filters > Big Blue Sediment/Carbon Block Filter Pack - Size 4.5 x 20"
5 Micron, Micro-Denier™ melt-blown filtration fiber, high removal ratings. 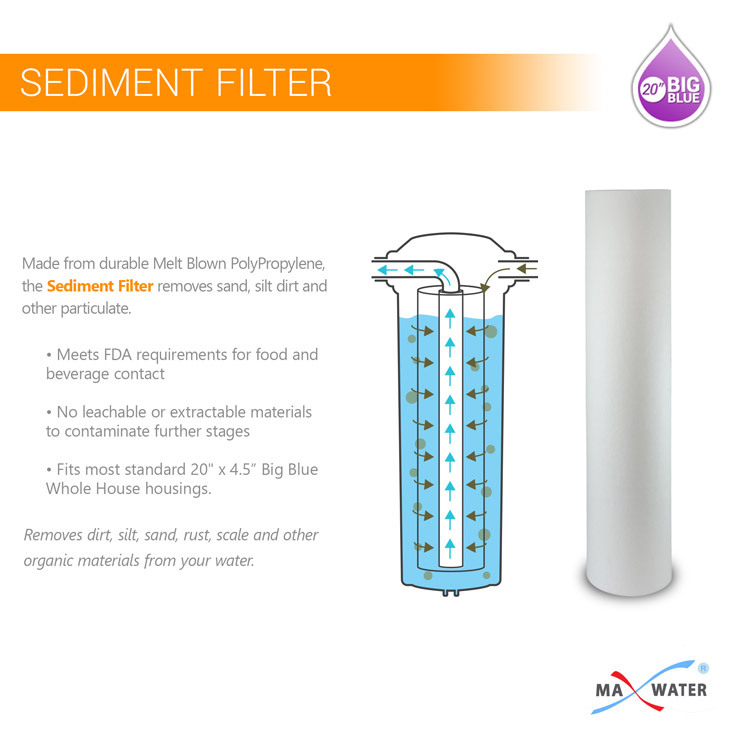 Dimensions: 20" x 4.5" , I.D. 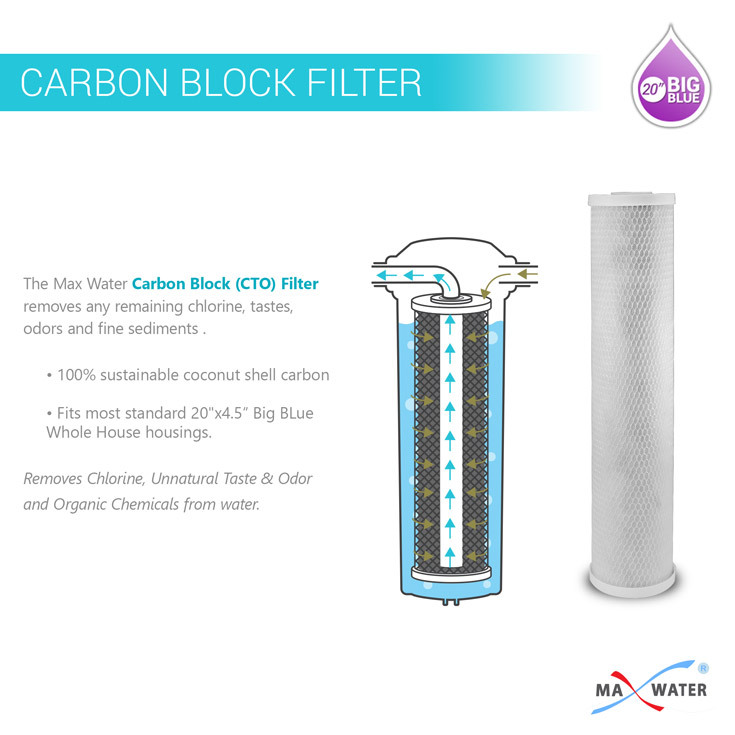 1-1/8"
CTO 20" Coconut shell Carbon Filter - Size 4.5" x 20" Fits most standard 20" size housings. 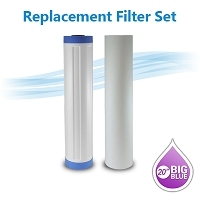 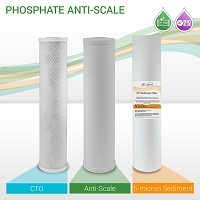 Remove chlorine, turbidity, bad taste & odors, sediment, dirt, and THMS from water.